Welcome to your very own tiny island. Situated in the middle of the Indian Ocean, the Seychelles Islands are one of the most magical places on the planet, with many of our islands still untouched by man. Cote d'Or Footprints self-catering chalets are located on Praslin Island, the second largest of Seychelles' inner islands. 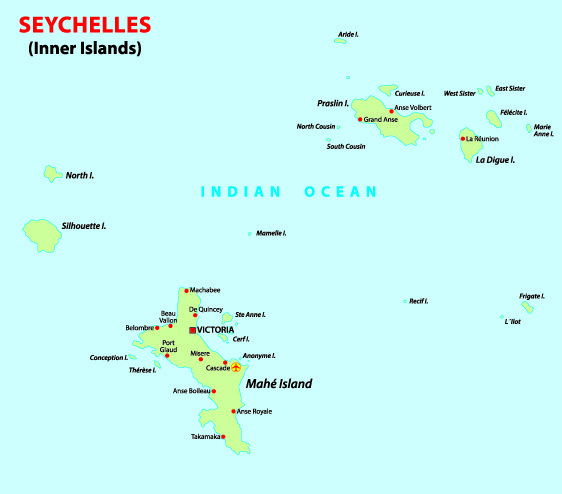 On this map, Praslin is the larger island in the top right of the image. Come and experience the tropical paradise you've been dreaming of. It exists, and is ready and waiting for you!